David Lishman, of Lishmans of Ilkley became Master of the Gild on Shrove Tuesday 28th February 2017. He is the third child of Gordon and Freda Lishman, farmers of Nidd Valley and later of Wharfedale. He is married to Lynne and has 2 daughters Emma and Sarah-Jayne and 2 step sons Thomas and Matthew. On leaving Prince Henry’s Grammar School, Otley at the age of 16, David started as an apprentice butcher for George Newbould in Harrogate. By the age of 21 he had purchased his own business in Ilkley where from 1999 onwards he expanded the shop into adjacent premises. Last year he celebrated 30 years in the retail business now employing 15 members of staff including his daughter Emma who has also joined the business. In 2011 David created the Yorkshire Sausage recipe which is now made and sold in over 60 Butchers outlets in Yorkshire, he has won the Yorkshire sausage title on five occasions and the national ‘Champions of Champions’ sausage title on two occasions. ​His shop in Ilkley received a visit from the Princess Royal in 2012 and his appearances on TV programmes include Gordon Ramsay’s F Word, James Martin’s Home Comforts and the ‘expert Judge ‘on the BBC series Young Butcher of the Year. David is very interested in the art of curing and charcuterie winning the National Foodex charcuterie championship in Birmingham last year; it is an area of the business he intends to expand over the next three years. He has captained the first British Butchery Team on three occasions, two of which included trips to New Zealand for the competition. 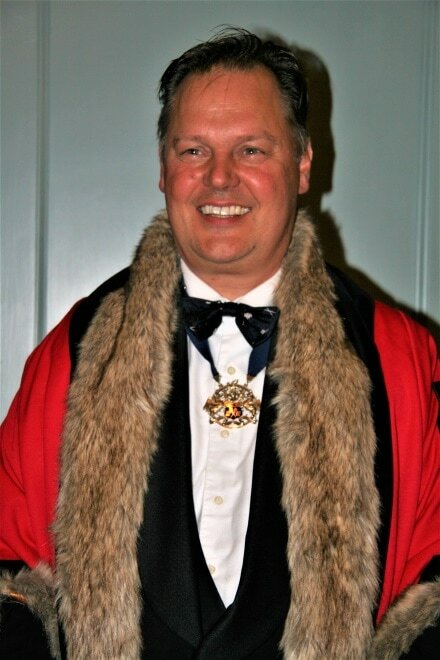 David is National Vice Chairman of the Q Guild of Butchers which has more than 130 retail butchers as members and a Liveryman of the Worshipful Company of Butchers in London. In his spare time he enjoys shooting, cooking and travelling.